Handbuilt in Broken Arrow, Oklahoma USA using premium audio grade components to provide ultimate clarity and signal response. 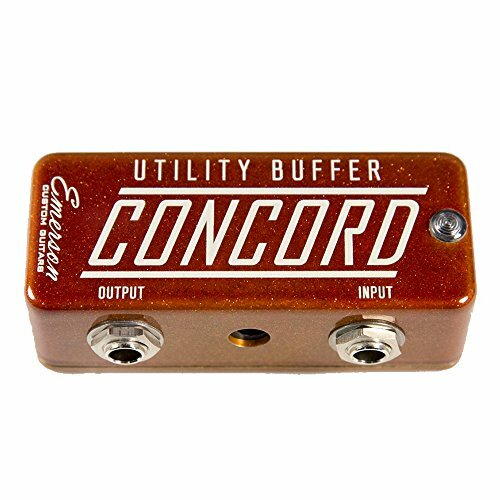 This utility pedal "buffers" your signal to bring back the clarity and high end sparkle of your input signal that is lost when you use a lot of pedals and/or have lots of cable between your guitar or bass, and your amp. This pedal is a tool that once you have on your rig you'll never wanna be without it. If you have any questions about this product by Emerson, contact us by completing and submitting the form below. If you are looking for a specif part number, please include it with your message.